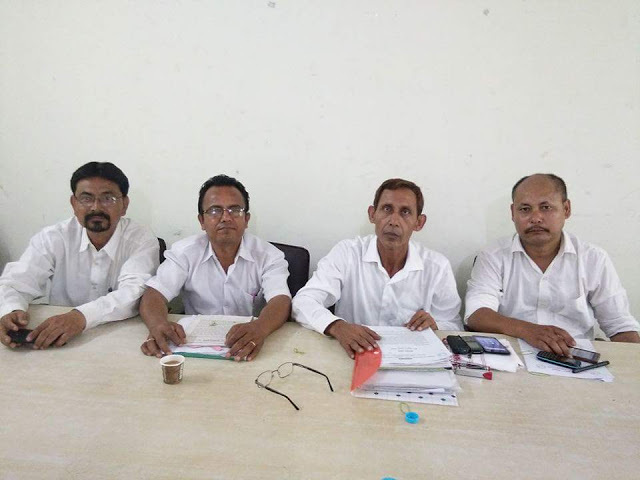 Guwahati: The Gorkha Autonomous Council Demand Committee, which has been demanding "original inhabitants" status for the Gorkhas living in Assam, said exclusion of many names of the community from the final draft of the NRC is "not fair". The committee's chairman, Harka Bahadur Chhetri, on Thursday said: "Many Gorkha people have been excluded from the final draft of the NRC. There are many anomalies. However, the exact number of excluded people is not confirmed yet. So, we will have to carry out a survey across the state." Alleging huge anomalies in the NRC update process, Chhetri said: "Exclusion of many Gorkhas in the NRC final draft even after submission of proper documents has proved that there were large anomalies in the whole process. So we will move the state government after carrying out the survey." Chhetri said: "Many Gor-khas, who have been living in this land for decades, have been excluded from the final draft. They are now frustrated. The government said there is nothing to worry about. That means inclusion or exclusion of names in the draft NRC has no value. The anomalies will not be tolerated." Chhetri alleged partiality in the NRC update process. According to him, in Assam there are around 30 lakh Gorkhas and among them possibly 10 to 20 per cent have been excluded from the final draft. Earlier, the committee had said Gorkhas in Assam had no links with Nepal and considering them as "immigrants" would be an injustice. According to the committee, Nepalis and Gorkhas are different communities, but the Assam government deprived Gorkhas from getting the "indigenous" tag. The Gorkha Autonomous Council Demand Committee, which has been demanding "original inhabitants" status for the Gorkhas living in Assam, said exclusion of many names of the community from the final draft of the NRC is "not fair".